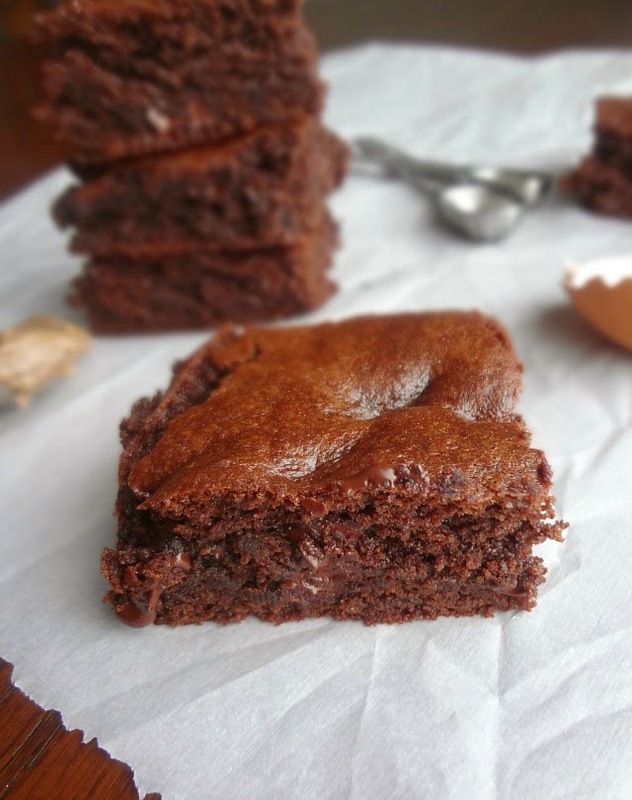 These brownies are delicious. And they're not just delicious in a, "they're delicious for a healthy dessert" kind of way, but just in a, "they're tasty yum yum" kind of way. They happen to be gluten-free, dairy free, low in sugar (they're mostly sweetened with honey), and low in fat (and that fat comes from eggs and good for you almond butter!) And-bonus-they don't even have any weird ingredients. In fact, if you don't have almond butter you can just use peanut butter or any other kind of nut butter. EASY! 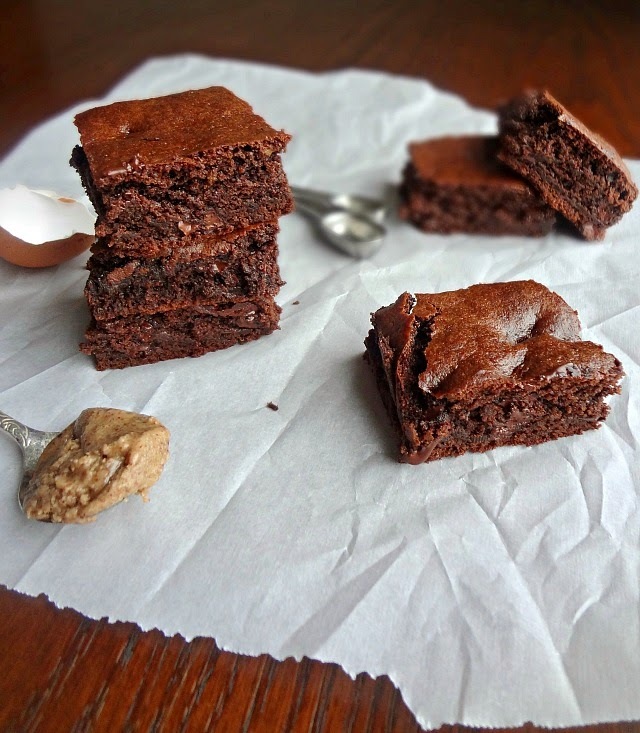 I seriously almost don't even know why I would make regular brownies because these are THAT good. 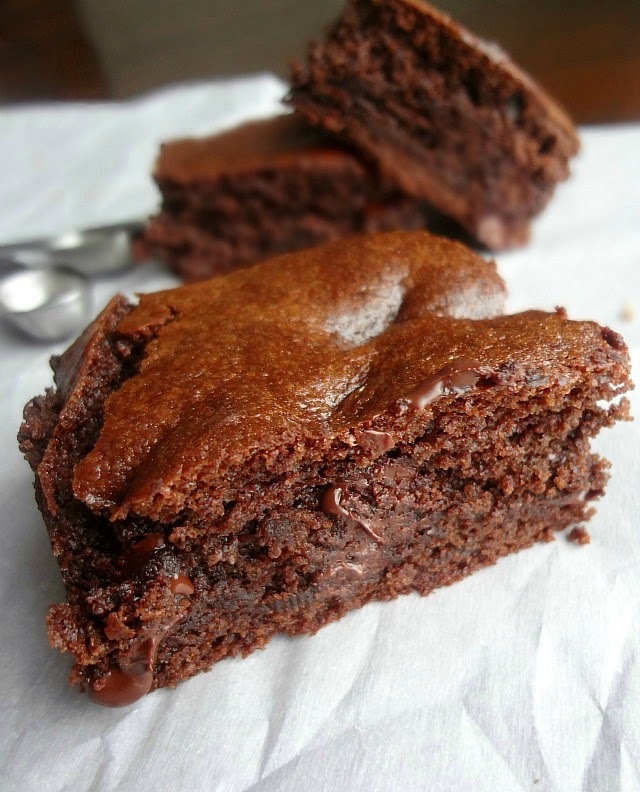 Like...super chocolatey and gooey and soft. They're not bitter. They're not gummy. They're not lacking in sweetness. The only real difference you can notice is that you can taste honey (although Michael said he didn't taste it, so I might just be more sensitive to it?) --but when warmed up you can barely detect the honey either! The almond butter lends the fat (but in a healthy fat kind of way) and structure to the brownies and helps them taste rich and decadent (you barely taste it, almond butter has a subtle flavor-it just helps these be fantastic), honey and just a little bit of brown sugar sweeten them, and unsweetened cocoa powder and dark chocolate chips make them oh so chocolatey without all the sugar but with all the antioxidant goodness and tastiness! 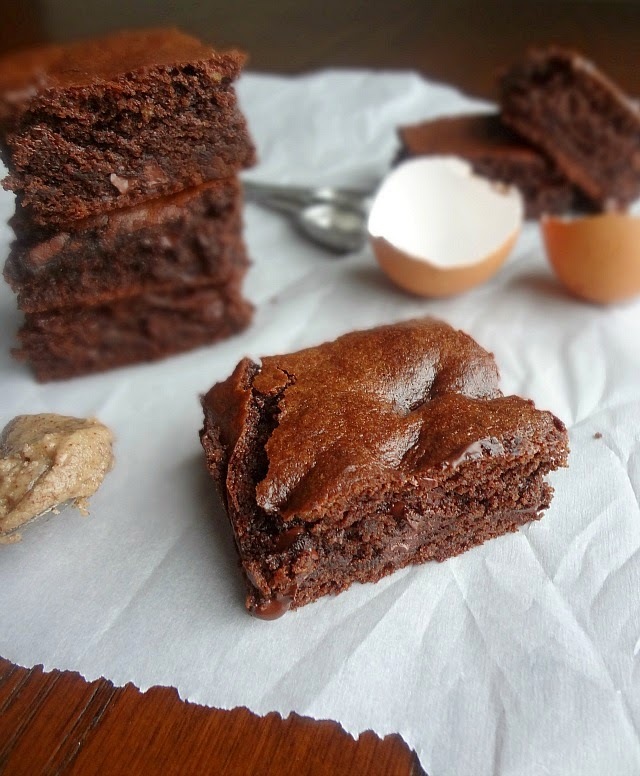 Game changer-that's what these brownies are. Preheat oven to 325F degrees. Spray an 8"x8" pan with nonstick cooking spray, line with parchment paper, and then spray with cooking spray again. In a large bowl, using an electric mixer, beat together the eggs, honey, sugar, and vanilla extract until thickened and pale. Beat in almond butter until smooth. Stir in cocoa powder, baking soda, and salt. Mix in the chocolate chips/chunks. Spread brownie batter evenly into the prepared baking pan. Bake 30-35 minutes, until a toothpick inserted into the center comes out mostly clean (crumbs are ok, just so long as it's not very gooey). Cool completely on a wire rack and then cut into 12 squares. I mean really...what more can you ask for?